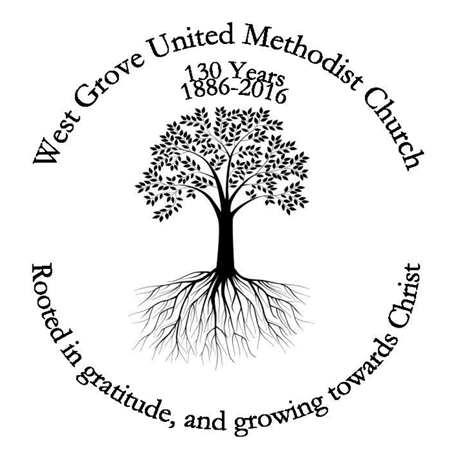 Today we completed our series on Rooted in Gratitude and Growing in Christ: our 130th anniversary celebration. We continue celebrating 130 years of ministry in this place and will conclude with the final historical video later in the service. For the last 5 weeks, we have been exploring what it means to be rooted in gratitude and growing Christ. Many of you have taken the gratitude challenge, writing a thank you note every day for the month of November. Some of you have done it each and every day. Others have taken the nudge to write a few throughout the month. 10 days left in the month. I hope you will take a chance this week to extend your gratitude to others. You will find suggestions in the meditations, but many have needed no guidance as the people the wished to give thanks to, bubbled up in their hearts. Today is the last Sunday of the church liturgical year as we move into Advent next week and begin to prepare ourselves for the coming of Christ. For the last 91 years, we have ended the year with a declaration of Jesus as the ruler of our lives, here and now, as well as in a future eschaton. Across those years, we have imagined Jesus as king, the highest ruling power, we might imagine and called this Sunday Christ the King Sunday. More than king, we affirm God’s way and reign as ultimate, even when our language has struggled to keep up. We have sought to declare that Jesus’ way of living in the world, is the reign that we seek to usher in. As a nation, we thought a lot about what kind of leaders we are looking for. And the larger world as well, chiming in on what kind of leaders that are desired and which kinds of leaders are undesirable. From presidents to kings, queens to prime ministers, sultans to dictators, and emperors to supreme leaders, we have clamored for various ways of understanding leadership. This morning’s gospel lesson gives us yet another image of leadership, another way of picturing God’s reign in our lives. God as gardener. I suggested last week that plants and trees crop up in all of the gospels and most of the epistles. Growth from vegetation, finds its metaphorical way into most of the books of the Bible. We heard little about watering and providing sun, fertilizing or encouraging plants, but what we do hear an awful lot about is pruning as a method to increase growth. Pruning as a method to remove the dying portions of the plant. Pruning to spurn on health. A tower of sticks does not a plant make. Pruning takes talents and knowledge. You need to know a plant before you start removing seemingly unnecessary branches. One of the differences between kings and gardeners is their relation to their subjects. Kings can rule from on high and from on far. Kings can be near, but nothing about the relationship requires. Gardeners must be near to their subjects to care for them. Pruning requires closeness and relationship. Jesus speaks of this closeness in this way, “I am the real Vine and my Father is the Farmer. Cutting off all vines that do not grow.“ He goes onto further, “I am the vine and you are the branches. Abide with me.” To abide with Jesus is not an inactive process. It is not a once and done activity. It is an everyday engagement. It is caring for God’s people when it is raining and when it is sunny. It is seeking God’s way when we understand it and when we are filled with more questions than conviction. Abiding makes more than a good song; it is a way of living in God’s reign. For those of us who value autonomy and independence, abiding with Christ may not be our first inclination, but it our healthiest one. In our kitchen garden, we grow basil, rosemary, and mint. With each of these plants, I wonder if their growth will be able to keep up with our culinary needs. Each and every time, we pull a bit of rosemary, leaves of basil, or a sprig of mint, within days, we do not have less, but rather the growth increases. Similarly, when I remove the woody stems and the no longer producing sections, I am not met with emptiness, but rather with growth. Paul offers this blessing to the early church and to us. We who need to hear that our God is on the throne, even when it feels as though the world is shaking and turning around us in ways we do not understand. Our God who brought forth creation brought forth Jesus, and is bringing forth a kingdom, a reign. God who is and was and will be. Even as we are being pruned and the world around is not as we thought it should be. The truth is Jesus would not have won the contest for president. The finals numbers are not in for 2016, but in 2012, 1.4 million people wrote Jesus in for president. But Jesus had never looked for that kind of leadership. Jesus is the habit of calling us again and again into relationship and intimacy to join in insistent, consistent, persistent solidarity with the poor, weak, oppressed, and forgotten and then wait while it changes our lives as well as the lives of others. This is exactly the kind of life we are called to live. “What kind of king do you want?” Jesus asks. And the answer most gave him, both in the first century and the twenty-first, is “Not this one,” preferring instead some demonstration of power to vulnerability. of the vulnerable. Jesus is perhaps not the king or leader we may want, but he is the one we need. Cold weather is the season of pruning. Let us proclaim Jesus who reigns forever and return again to the relationship with Jesus, our gardener, who knows us well enough to prune off our rough spots. “I am the true vine, and my Father is the vine grower. He removes every branch in me that bears no fruit. Every branch that bears fruit he prunes to make it bear more fruit. You have already been cleansed by the word that I have spoken to you. Abide in me as I abide in you. Just as the branch cannot bear fruit by itself unless it abides in the vine, neither can you unless you abide in me. I am the vine, you are the branches. Those who abide in me and I in them bear much fruit, because apart from me you can do nothing. Whoever does not abide in me is thrown away like a branch and withers; such branches are gathered, thrown into the fire, and burned. Sunday: “May you be made strong with all the strength that comes from his glorious power, and may you be prepared to endure everything with patience.” Colossians 1: 11. Endurance is built on the back of experience. Write a note of gratitude to someone whose life experiences have granted them endurance in the midst of challenge. Monday: “While joyfully giving thanks to the Father, who has enabled you to share in the inheritance of the saints in the light.” Colossians 1: 12. Our inheritance comes not only from those who birthed and cared for us in childhood, but also those who demonstrated faith to us. Write a note of gratitude to someone whose faith you inherited. Tuesday: “He has rescued us from the power of darkness and transferred us into the kingdom of his beloved Son, in whom we have redemption, the forgiveness of sins.” Colossians 1: 13-14. God’s grace gives us multiple chances. Write a note of gratitude to someone to whom you need to give another chance. Wednesday: “For in him all the fullness of God was pleased to dwell, and through him God was pleased to reconcile to himself all things, whether on earth or in heaven, by making peace through the blood of his cross.” Colossians 1: 19-20. God desires reconciliation with us as well as us reconciling with others. Write a note of gratitude to someone with whom you need to reconcile. Thursday: “‘I am the true vine, and my Father is the vine-grower. He removes every branch in me that bears no fruit. Every branch that bears fruit he prunes to make it bear more fruit.” John 15: 1-2. Gardeners tell us plant grow more fully with pruning. Write a note of gratitude to someone who has pruned you out of love. Friday: “You have already been cleansed by the word that I have spoken to you. Abide in me as I abide in you. Just as the branch cannot bear fruit by itself unless it abides in the vine, neither can you unless you abide in me.” John 15: 3-4. Abiding in God is a personal act, but not a private one. Write a note of gratitude to someone who you have watched in the faith. Saturday: “I am the vine, you are the branches. Those who abide in me and I in them bear much fruit, because apart from me you can do nothing. Whoever does not abide in me is thrown away like a branch and withers; such branches are gathered, thrown into the fire, and burned.” John 15: 5-6. Our connection to each other is also through Christ. Write a note to someone you would not have been connected to, except for your relationship in Christ.